Want to see what's all happening at Next Level? Click on our logo below to view our upcoming events! There's something for everyone! WELCOME TO NEXT LEVEL GYMNASTICS ACADEMY! Next Level Gymnastics Academy is located in Rock Hill, South Carolina. It is a brand new state of the art gymnastics facility with new equipment and includes a foam pit. 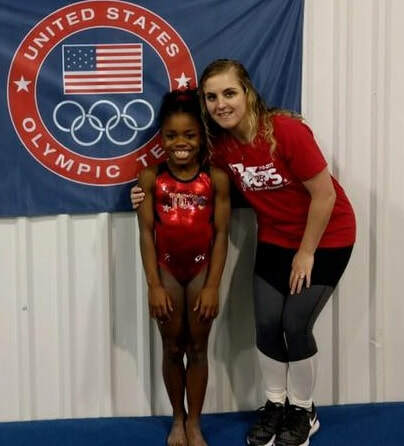 “At Next Level Gymnastics Academy, we intend to inspire young minds about the beauty and art of gymnastics, while emphasizing the passion, dedication and continuous work ethics it takes to become a Next Level Gymnast." Next Level Gymnastics Academy is dedicated to teaching unique and competitive methods of training that produce the same, if not better techniques, physical effects, and gymnastics ability. Next Level Gymnastics Academy is based upon the fundamentals of gymnastics offering recreational and team coaching, individual instruction, Xcel Program, J.O. Program & much more! At Next Level Gymnastics Academy, we offer a variety of classes including preschool & recreational gymnastics that cater to your child’s needs. Our recreational classes are also broken up into beginner, intermediate and advanced classes; that way your child can benefit by being in a class appropriate for their skill level. We also have different pre-team and team options when your child is ready for that “next level” in their gymnastics journey. We carefully place children in the correct team program, based upon their skill level, this way each child benefits and gets proper training. We also have available strength and conditioning classes for boys, boys gymnastics, special needs gymnastics & beginner to advance cheer tumbling classes. Here at NLGA, we offer the best technical skill training for athletes and only want to help your child accomplish their dream. Your child will learn what it takes to become a hard-working athlete, while experiencing the love and support that comes along with it. Need more information about our programs? just fill out below!